Mamagoto, the Pan-Asian restaurant has been creating quite a buzz in Hyderabad, with their a-la-carte offerings, as well as the hit weekday anti-buffet. 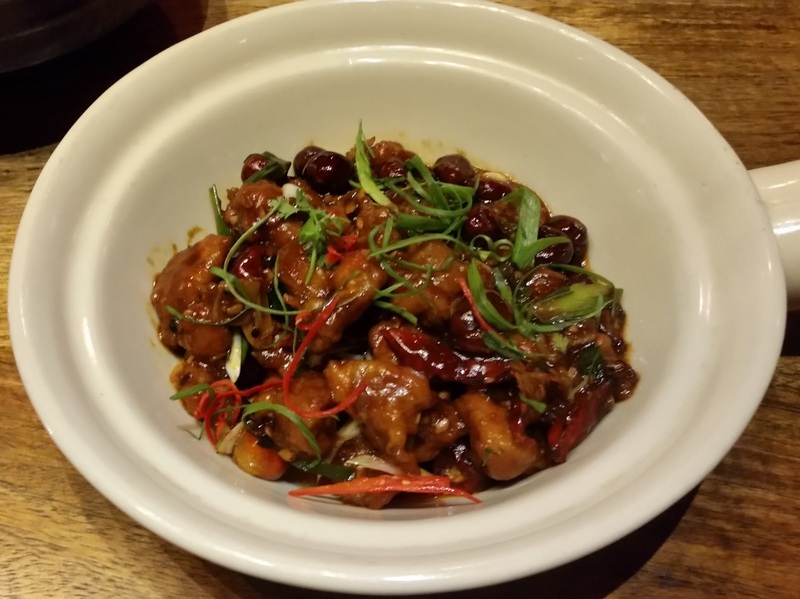 As part of their plan to evolve continuously and to provide more options to their loyal clientele, the restaurant has revamped their menu adding more than two dozen new dishes. The new menu was showcased at a Bloggers Meet held recently. 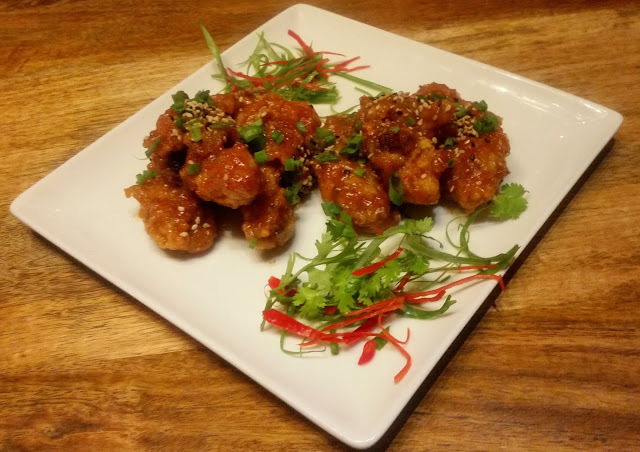 Fun Asian dining is the motto of Mamagoto and the new items have been selected mainly from the offerings of Chinese and Thai street food hawkers. The drinks menu has also been augmented with some unconventional flavours. After a discussion with the management, we decided to sample some of the new items as well some signature dishes which have been popular with the customers. We started with some Kiwi and Passion Fruit Mojito which is part of the special Monsoon Pitcher range, where a pitcher is being offered at Rs 499. There are about eight mocktails to choose from a list. 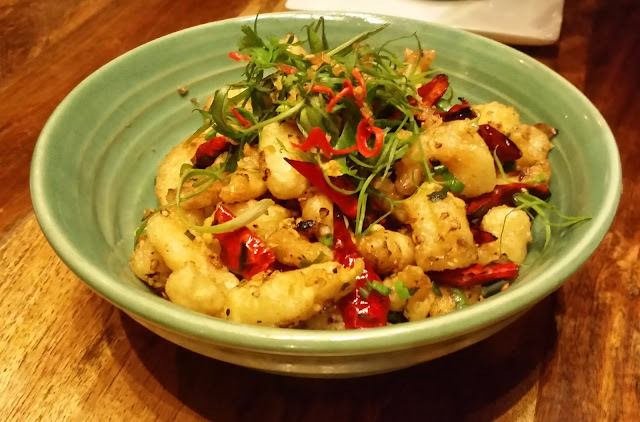 Shrimps with Dry Red Chillies was the first dish we tried. The shrimps were tossed in burnt garlic and other spices and served with a soya based dip. The combo was a winner and got lapped up in no time. One of the best-looking dishes from the night was Java Grilled Tofu. 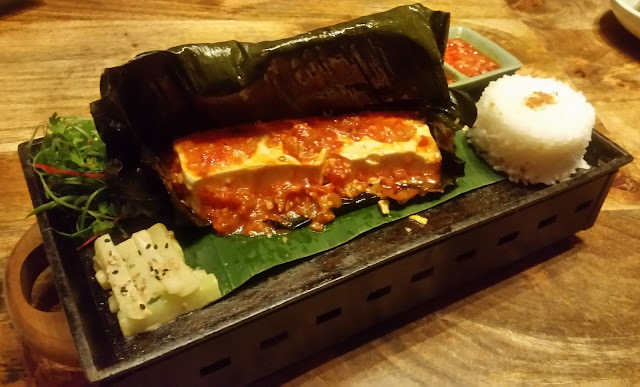 Marinated in some spicy sambal, the tofu was served grilled in banana leaf with some sticky rice and veggies. I am not a fan of tofu but loved the sambal based marinade with sticky rice. There is a fish version of this dish too. The new menu has a range of rolls and dumplings on offer. 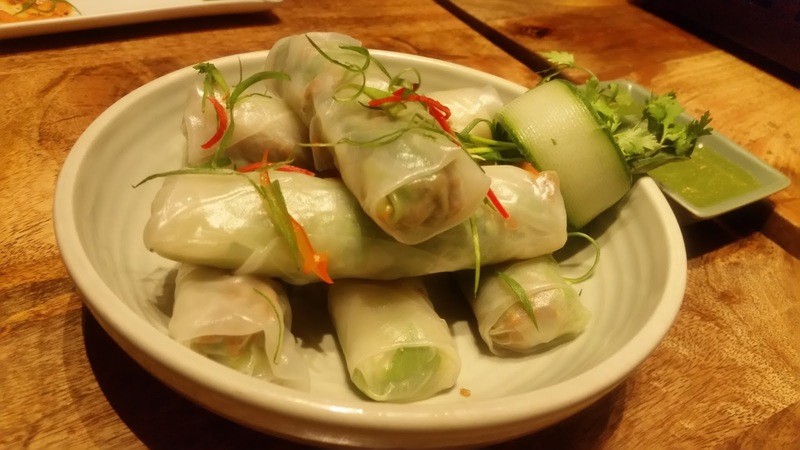 The Summer Roll with Basil Dip had soya and basil filling inside rolls of Vietnamese rice paper. The green basil dip served with it was just too good, and I really enjoyed the rolls with this sauce. The dumplings served on the day really stood out. Rainbow Chicken Dumplings had garlic infused chicken stuffing and were garnished with red, yellow and green bell peppers. My pick was the Cheese and Truffle Oil Dumplings. 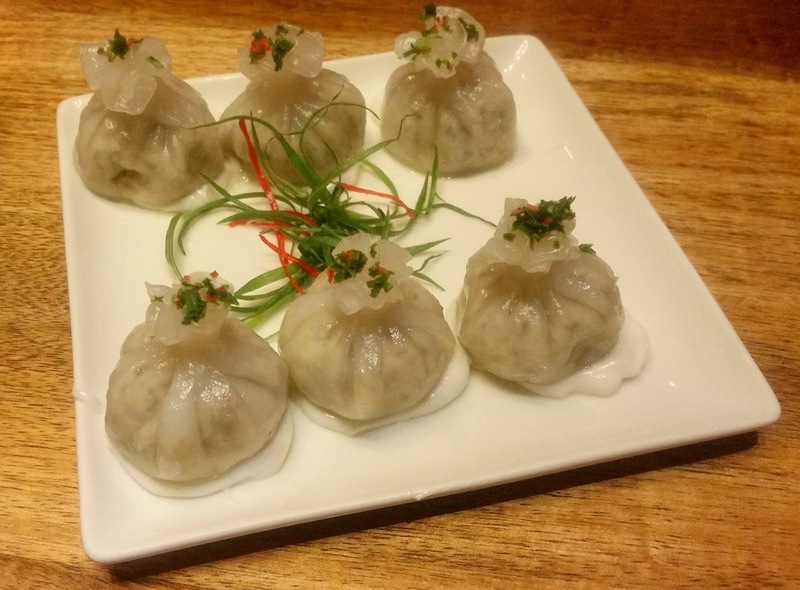 These small sized dim sums with melted cheese inside were really classy. Translucent Crystal Dumplings filled with shitake mushrooms and water chestnuts looked extremely inviting, the taste was quite good too. 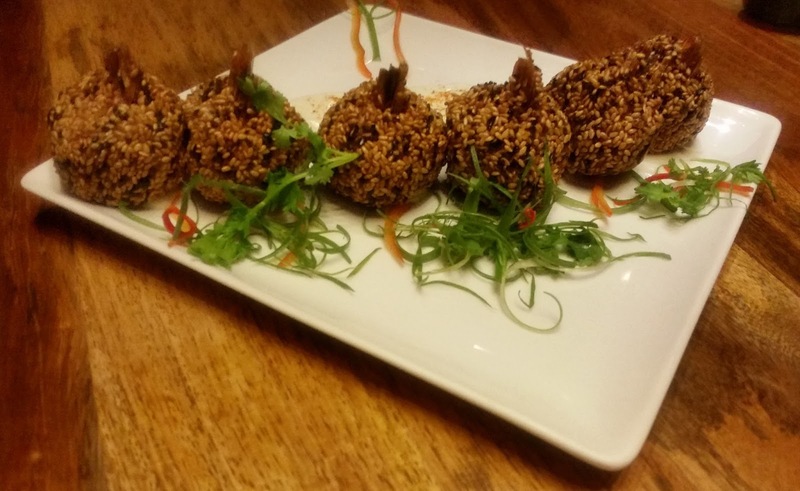 Among the other range of starters, Sesame Prawn Balls had an interesting presentation. However, the minced prawns inside were devoid of taste. Bophut Village Hot Chicken did not taste as spicy as it looked, but a dash of coconut flavour gave it a different spin. The rice and noodle bowls at Mamagoto is quite popular, and today it was the turn of Mamas Spicy Ramen Bowl to be showcased. 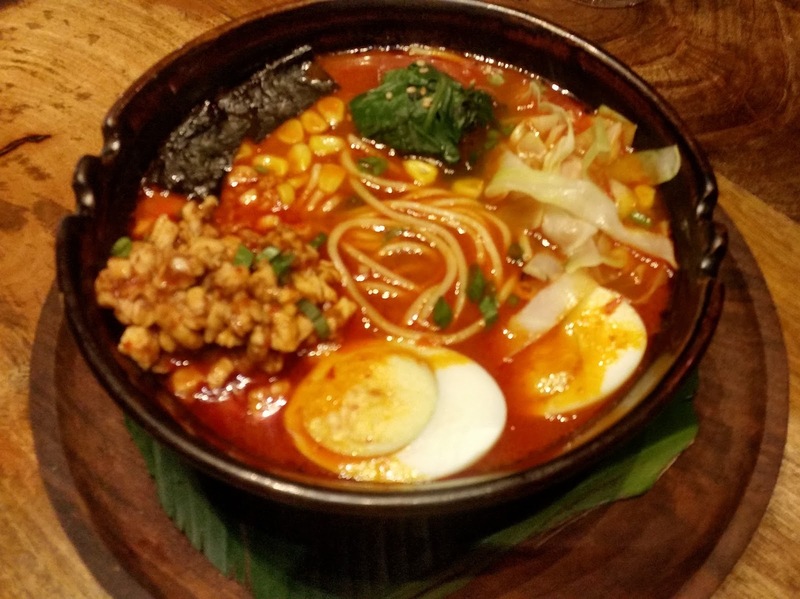 The spicy and soupy dish with noodles, chicken, egg slices, corn and leafy vegetables was a full meal by itself. The broth had the perfect combination of herbs and spices, and this is a dish which should be tried out here. 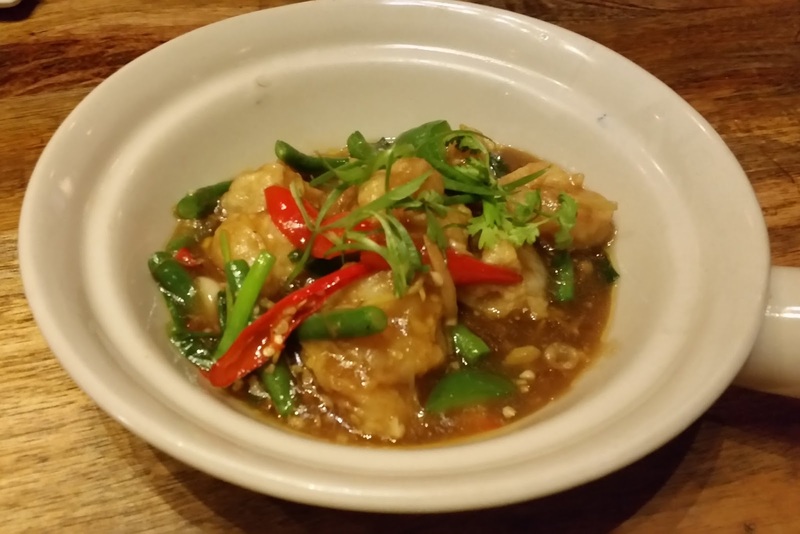 For the main course, we were suggested Chicken Three Pepper Bomb and London China Town Prawns. The wok tossed chicken dish had a base of Chinese wine and sesame oil and went well with Yangchow Champions Fried Rice, a Chinese preparation. The prawns had a milder ginger based gravy. 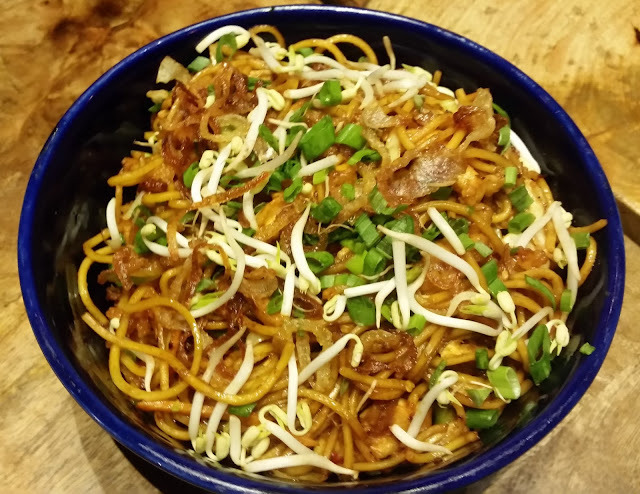 We tried this with Bali Bamie Chicken Noodles, a sweet and spicy sambal and soya sauce based noodles preparation from Indonesia. A dish that would suit the Hyderabadi taste buds. 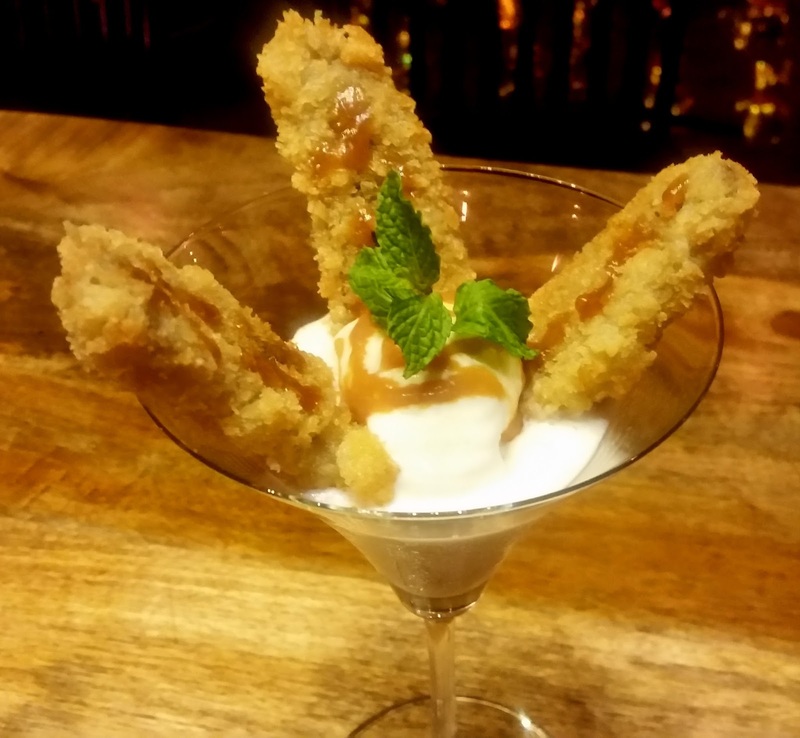 Desserts served from the menu included Sticky Rice with Green Apples and Coconut Panko Banana with Ice Cream. 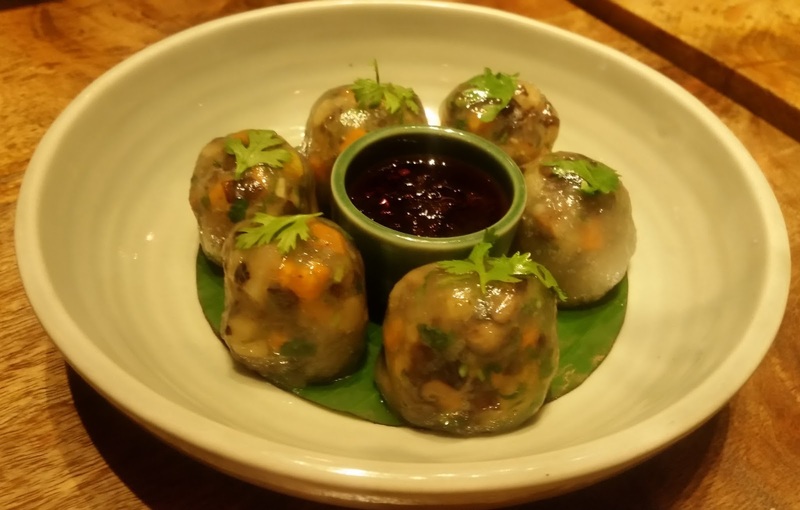 The sticky rice dish looked quite appealing, especially with the beetroot extract based topping. But the taste did not live up to its looks. The fried banana dish dunked in ice cream was par for the course. The Blueberry Cheesecake was one of the best I have had in Hyderabad. On my special request, some Coconut Ice Cream was served. I never miss this dish at Mamagoto. There were also Caramel Cheese Cake which I did not try. As I looked at the other new dishes introduced in the menu threw up some interesting names. A couple of them which appealed to me were Soft Shell Crabs in Mama’s Sauce and Duck and Litchi Massaman Curry. These will be on my radar on my next visit. 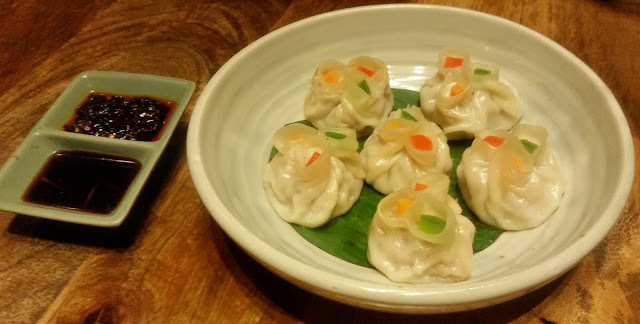 Mamagoto is also starting their second outlet in Hyderabad soon. It is planned in the Hitech City area.